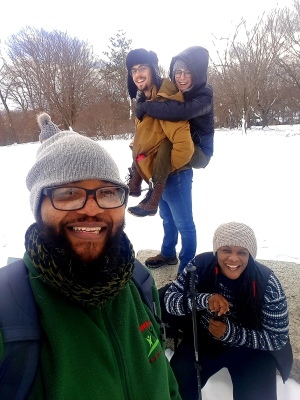 The Urban Outdoors Association, welcomes anyone interested in volunteering with us. From helping us set up at events, being team leaders and more. 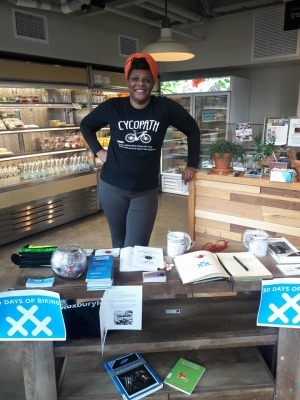 See our events page for Events, Workshops and Learning Activities like: Learning how to Ride, Bike Repair, Hiking 101 or Foraging for Wild Edibles. 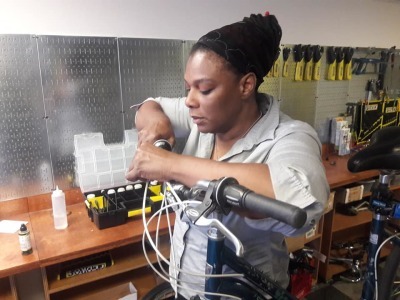 Come to our garden workshops, play kickball with your neighbors, be a part of community clean-ups or participate in a neighborhood bike ride. 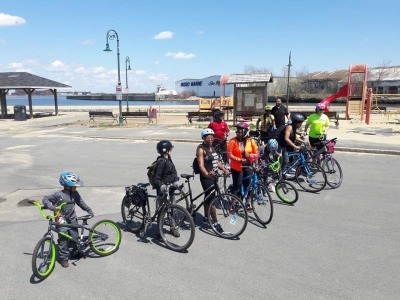 Roxbury Rides first ride of the season in collaboration with YPFit. I always stress over my events, did I do this, did I do that? This event stressed me out for various reasons, but once we took off and rode, seeing the fun everyone had, the smiles and the sense of accomplishment from our riders immediately wiped away any stress that was there. I appreciated everyone who comes out and rides!!! 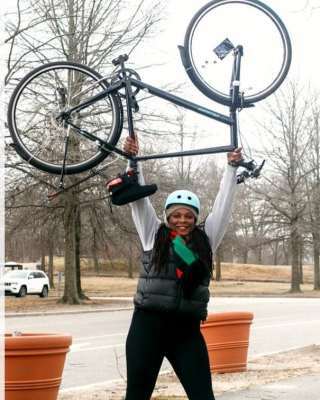 You can't be sad when riding a bicycle! 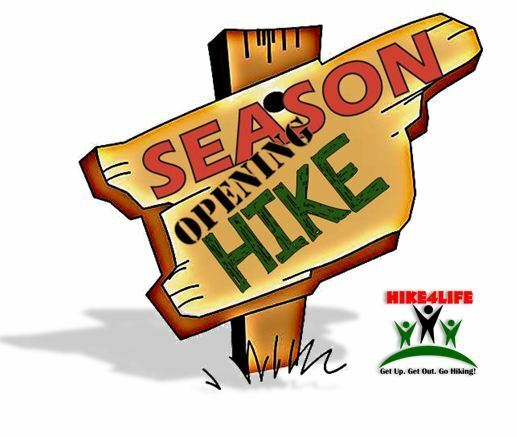 Season Opening Hike with Hike4Life & YPFit! Tired and Speechless but I have so much to say about today's Season Opening Hike! 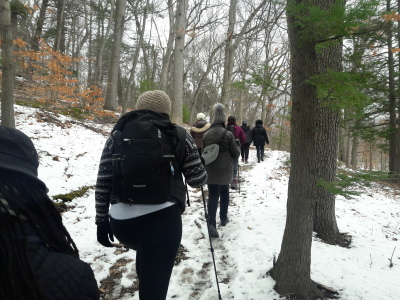 We had a great turn out (37) and yeah, we hiked, a lot! 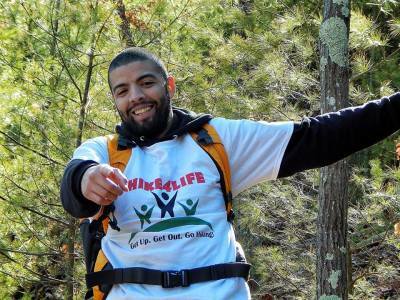 Thank you to YPFIT, thank you to everyone that came out to support Hike4Life today. Great to meet new people and spend time with some really strong young little people! 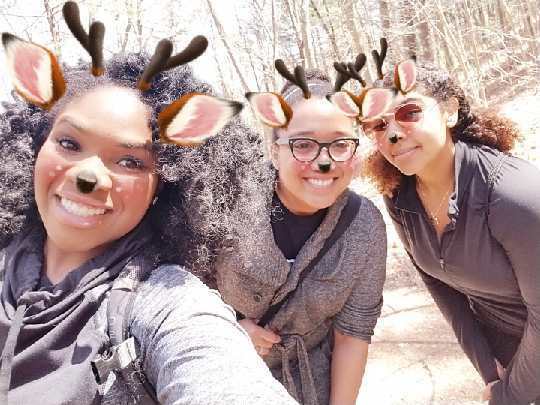 Shout out to my fellow YPFit Leaders, Michelle Cook of Roxbury Rides and Elizabeth Syndey-Walker (YP Fit Zumba). I am so proud of the effort and hard work that everyone put in on the trail today. We really kicked off the season!!! 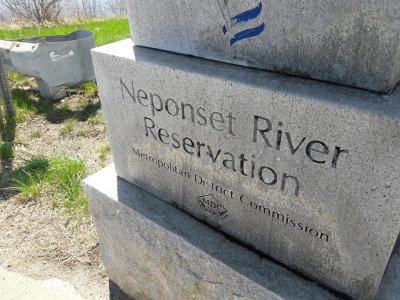 We're launching our hiking season on the eve of Earth Day, Saturday, April 21st. We're very excited to get out of the hoods and back into the woods for our 8th season of hiking, camping, kayaking, foraging and more. We're also excited to be the Hiking Leaders for YPFit!!! The meet up location will be at Blue Hills Trailside Museum. There's parking in both lots and plenty of trails waiting for us from that point. Water, food/snacks, backpack, boots/sturdy sneakers and be sure to dress for the season. 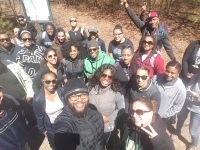 The Hike4Life Warm up Hike was so awesome! 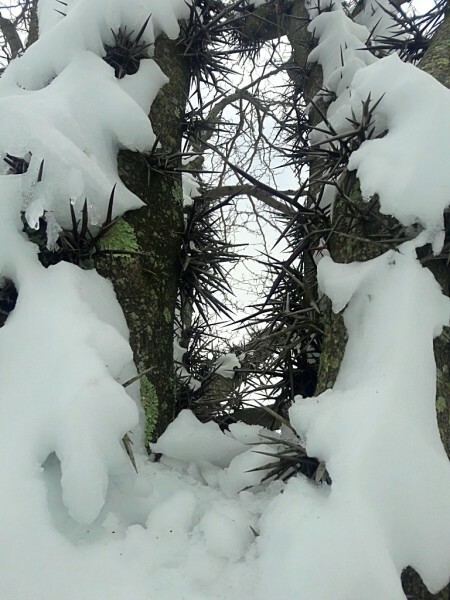 We had a wonderful group of 15 excited, fun and adventurous hikers that pushed us to see the snow-covered Arboretum in all of its winter beauty! We walked up Bussey Hill and took in the view of the Blue Hills & trudged up Peter's Hill in the snow! Everyone enjoyed themselves and we met some awesome new people. Thanks for coming out today and spending time with us. 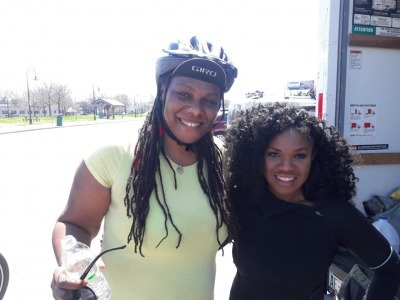 Thank you to all that attended our 30 Day of Biking Kick off Event! 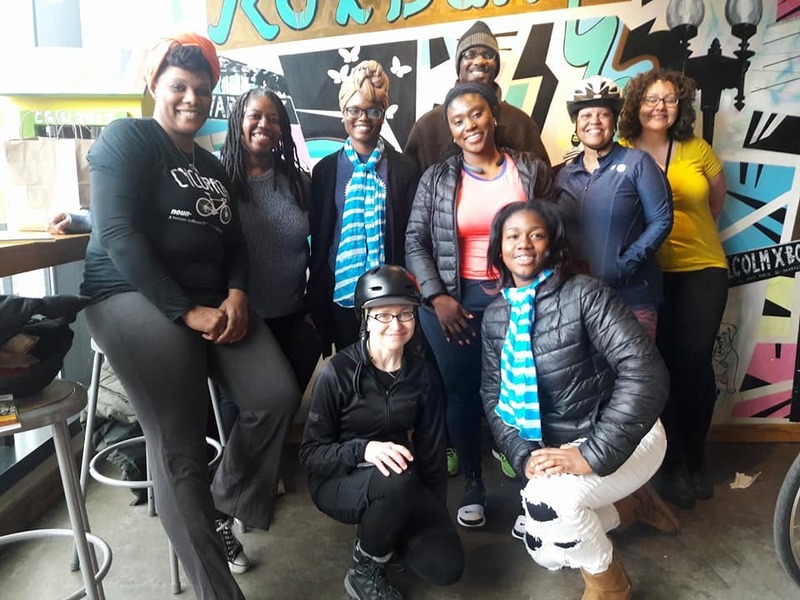 Shout out to Dudley Cafe for hosting Roxbury Rides! 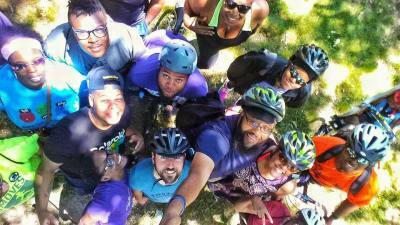 Stayed tuned for more events from Roxbury Rides!